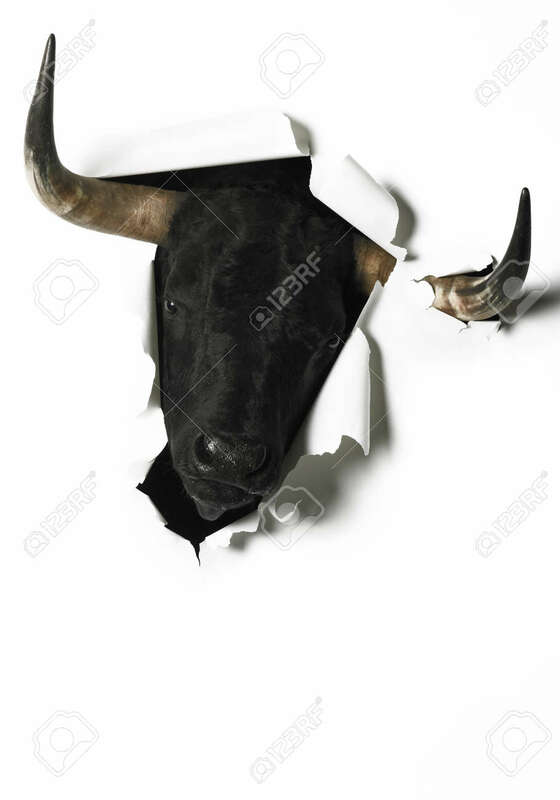 Black Fighting Bull Head Breaking A Blank Paper. Vertical Format Stock Photo, Picture And Royalty Free Image. Image 37597758.